You are currently browsing the tag archive for the ‘Elaine Bromka’ tag. 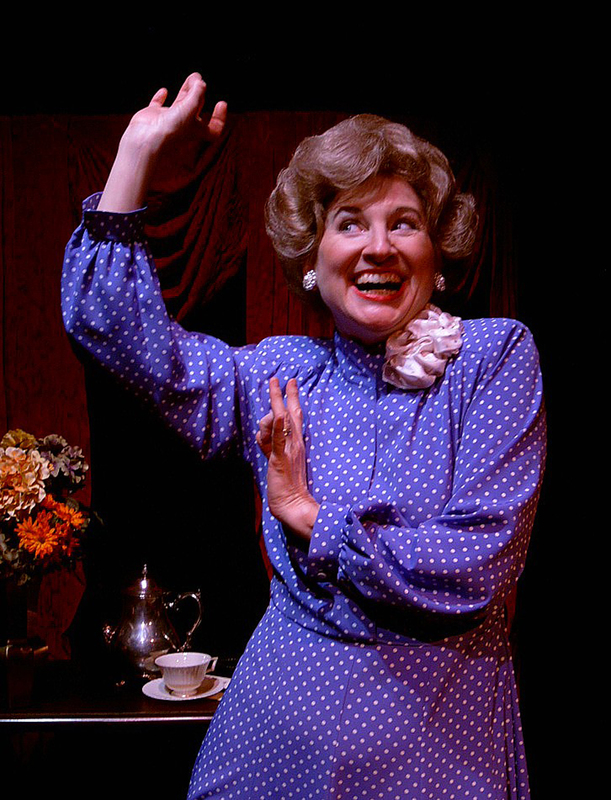 The three women portrayed by Elaine Bromka in Tea for Three — Claudia A. T. Johnson (a.k.a. “Lady Bird”), Thelma C. R. “Pat” Nixon, and Elizabeth A. B. W. “Betty” Ford became first ladies during the a turbulent period of profound historical significance. All of them started as “second ladies” while their husbands shed blood, sweat and tears in obscurity as Vice President. Likewise, all them became wives of presidents under a shadow of national tragedy. Ms. Johnson watched her predecessor, covered in her husband’s blood, stand in front of the television cameras saying defiantly that she wanted the world to see what it had done to a great man. Ms. Nixon became first lady twenty-two years after Richard Nixon lost the White House to Kennedy and Vietnam broke LBJ. And Ms. Ford, who became first lady when her predecessor’s husband was forced from office in disgrace, served as first lady for a mere 896 days.